An award-winning writer, Sharon Hudgins has also been a university professor, speaker on international tours, book editor, magazine editor, newspaper and magazine columnist, filmmaker, and photographer. Currently she is the food editor of European Traveler website, the food columnist for German Life magazine (USA), and a regular contributor of food, travel, and cultural articles to several websites and print publications. A seasoned traveler with a sense of adventure, Sharon has lived in 10 countries on 3 continents and journeyed through more than 50 countries across the globe. Her previous residences have ranged from Munich, Athens, Paris, London, Madrid, and Tokyo to a shepherd's cottage in the Scottish Highlands, a German winery on the Mosel River, a mountain village in southern Spain, and a high-rise apartment building in Siberia. An avid rail rider, she has also logged more than 40,000 miles on the Trans-Siberian Railroad. Sharon is the author of five non-fiction books on history, travel, and food. Her travel memoir, The Other Side of Russia: A Slice of Life in Siberia and the Russian Far East, won a ForeWord Magazine Book of the Year award, and her book about the regional cuisines of Spain received a literary award from the German Academy of Gastronomy. Her latest book is T-Bone Whacks & Caviar Snacks: Cooking with Two Texans in Siberia & the Russian Far East. She has also contributed to several books published in the United States and Britain, including The Oxford Encyclopedia of Food and Drink in America, Oxford Companion to American Food and Drink, Culinary Biographies, Street Food around the World, and The Oxford Companion to Sugar and Sweets. 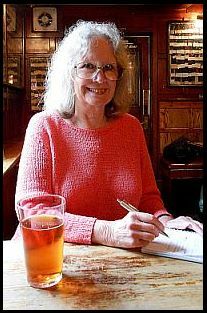 More than 900 of her food and travel articles have been published in magazines, newspapers, and on the Web—including Saveur, Gastronomica, National Geographic Traveler, German Life, Russian Life, Travel Squire, European Traveler, World & I, Dallas Morning News, Fort Worth Star-Telegram, Chile Pepper, Fiery Foods & Barbecue, and other periodicals in the United States, Germany, Russia, and the Czech Republic. For seven years she was the food columnist for The Stars and Stripes newspaper in Europe, and at various times the European correspondent, barbecue columnist, and editor of Chile Pepper magazine. As a lecturer on historical, cultural, and culinary topics, Sharon has worked on numerous international tours for National Geographic Expeditions, Smithsonian Journeys, Lindblad Expeditions, Zegrahm Expeditions, Viking Ocean Cruises, Silversea Cruises, Oceania Cruises, Road Scholar, University of Maryland University College, and other organizations. She has been a speaker at academic and professional conferences in the United States and abroad, and has appeared several times on National Public Radio and cable television programs. A member of the International Association of Culinary Professionals, Sharon has been a featured speaker at several IACP annual conferences and teleforums, editor of the IACP Food History Newsletter, and a judge for the IACP Cookbook Awards. She also belongs to the Association for the Study of Food and Society. She has presented 10 papers at the Oxford Symposium on Food and Cookery, where she was also awarded an international prize for her research on the foodways of Buriat-Mongolians. Sharon Hudgins worked for University of Maryland University College for 20 years, primarily as a professor in the university's programs in Germany, Spain, Greece, Japan, Korea, and Russia. She also served as UMUC's program administrator at two universities in Siberia and the Russian Far East. In the United States she has taught at the University of Michigan and University of Texas, and in Germany at the University of Munich, University of Augsburg, European University, and Institute for International Business Studies. She has a master's degree in Communications (Radio-Television-Film) from the University of Texas at Austin; a master's degree in Political Science (with a specialization in U. S.-Soviet Strategic Studies) from the University of Michigan at Ann Arbor; and a bachelor's degree in Government (Soviet and East European Studies) from the University of Texas at Austin.